Homestead Hills Villas residents can enjoy the area’s various recreational facilities, including Trail Winds Park, which boasts open green space, a skate park and a new recreation center projected to open this fall. Nearby Cherrywood Park offers picnic areas, play equipment and multiple fields. An array of shopping and dining options are within walking distance of the community, and local schools, golf courses and the new Denver Premium Outlets® stores are just a short drive away. The KB Smart Home System, powered by Google® Assistant, is an included feature at Homestead Hills Villas. 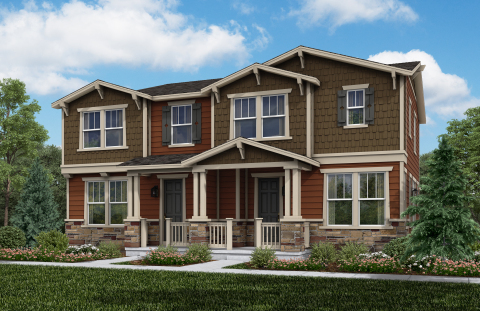 Additionally, the KB homes at Homestead Hills Villas will be built to current ENERGY STAR® certification guidelines and include WaterSense® labeled faucets and fixtures, meaning they are designed to be more energy and water efficient than most typical new and resale homes available in the area. These energy- and water-saving features are estimated to save home buyers between $1,212 and $1,344 a year in utility costs, depending on floor plan.